By signing a contract to receive $500 for each of the first two semesters after losing the scholarship, students agree to participate in a series of programs and interventions designed to get them back on track academically and to make wise financial choices in the aftermath of losing the scholarship. Georgia State University has developed the ‘Keep HOPE Alive’ scholarship to allow students who have lost the HOPE Scholarship remain at the University, while they work to regain HOPE. 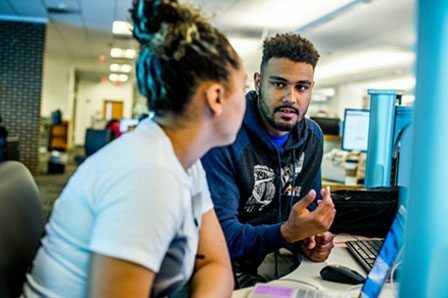 The Office of Undergraduate Studies has collaborated with the University Advisement Center, and Academic Coaching to develop a program that is designed to help students, specifically the sophomore population, regain HOPE eligibility within the next re-entry checkpoint. An invitation to participate in ‘Keep HOPE Alive’ is extended to all students whose grade point averages fall just below the HOPE Scholarship requirement. Students who participate in ‘Keep HOPE Alive’ will be awarded a $1,000 scholarship upon completion of the program requirements. The scholarship will be awarded at the end of each academic term. The list of eligible students is determined by the Office of Financial Aid. The number of participants will be based on available funds, and will be determined by the Office of Undergraduate Studies. Program is open to freshman and sophomore HOPE students with a 2.75 – 2.99 grade point average. Students must pursue a minimum of 30 credit hours within the next academic year (fall, spring, and summer semesters). Students must attend Student Success workshops hosted by the Office of Undergraduate Studies. Students must meet regularly with their academic coach. Students are required to attend mandatory advisement sessions offered by the University Advisement Center. We are exploring the expansion of the program for associate-degree seeking students. Scholarship recipients are selected by the Office of Financial Aid and the Office of Student Success, but we are happy to answer any questions.